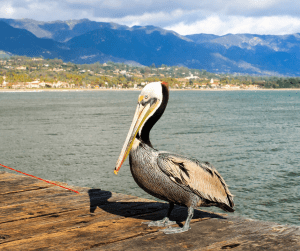 Have a Santa Barbara County traffic ticket? There are 4 designated Santa Barbara courthouses for traffic tickets. This includes Santa Barbara traffic court, Santa Maria traffic court, Lompoc traffic court and Solvang traffic court. For more information about the locations of the Santa Barbara courthouses, their contact information, and hours operations, please see below. The Santa Barbara traffic court is located on East Figueroa Street and is the location for all traffic ticket violations in the Santa Barbara area and surrounding vicinity. The Santa Maria traffic court is located on East Cook Street and is the location for all traffic ticket violations in the Santa Maria area and surrounding vicinity. The Lompoc traffic court is located on Civic Center Plaza and is the location for all traffic ticket violations in the Lompoc area and surrounding vicinity. The Solvang traffic court is located on Mission Drive and is the location for all traffic ticket violations in the Solvang area and surrounding vicinity.